The authorities have refused to speak about the ongoing investigation and did not reveal the name of the suspect, who is a 26-year Morocco-born person. An armed man is arrested for taking three people hostage in Paris after entering an office building. A four-hour standoff came to an end with the police freeing the hostages. 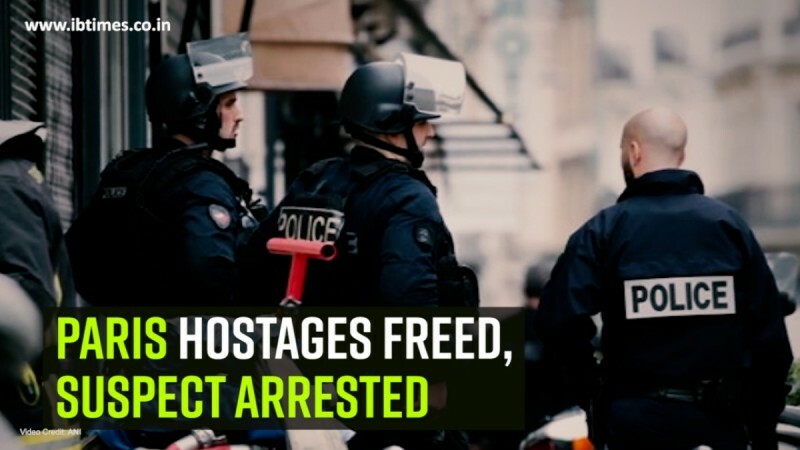 "All the hostages are safe and sound," Gerard Collomb, France's interior minister, said in a brief statement. At least two people had been held," ABC News quotes the official as saying. After entering a building, three hostages were held by the miscreant. He was captured after the police launched an evacuation operation before placing the area on lockdown. The police have described the accused as an "unstable person" while confirming that he did not seem to have any links with terrorist outfits, as per reports. The cops are investigating the issue on multiple counts, including attempted homicide, kidnapping and sequestration and violence with a weapon. The authorities have refused to speak about the ongoing investigation and did not reveal the name of the suspect, a 26-year born in Morocco, ABC News reported.